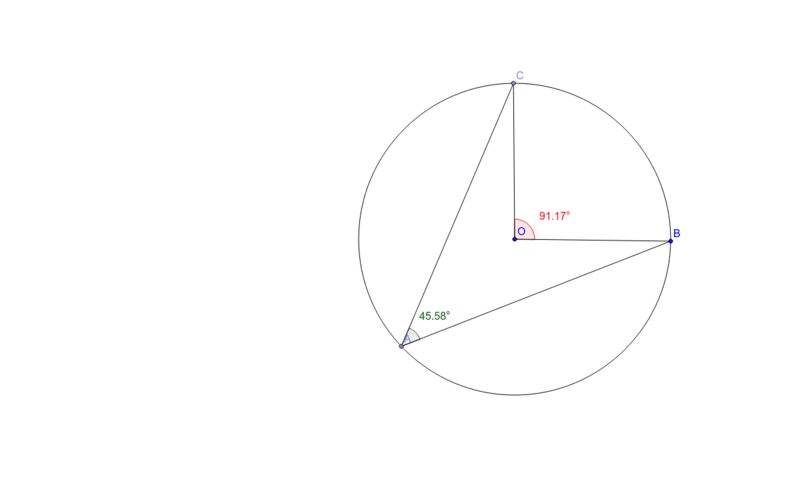 Definitions: Inscribed Angle: An angle that has a vertex on a circle and sides that contain the chords of the circle. Intercepted Arc: An angle intercepts an arc if and only if each of the following conditions are met. 1. The endpoints of the arc lie on the angle. 2. All points of the arc except the endpoints are in the interior of the circle. 3. Each side of the angle has an endpoint of the arc. 1. Describe the relationship between the inscribed angle and its intercepted arc. Test your conjecture for different angle measures.